Reach out with a mailer or postcard to share your news! We can help you send your message in a variety of sizes and colors. In connection with mailing services, we will make sure it reaches your people in a timely manner. Present your information in an elegant and organized manner. 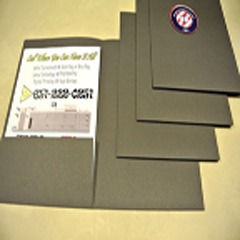 We can help you produce a presentation pocket folder that will impress. 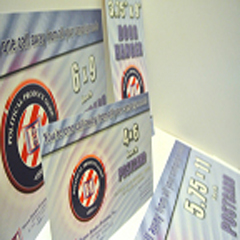 Make it a package deal with printed inserts displaying all that you offer. We can show you a variety of paper, color and style. What business can exist without forms? Whether you need invoices, estimate sheets, planning grids or delivery slips, we can help you. 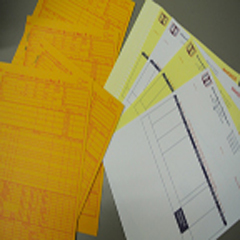 We offer carbonless, continuous and individual sheets to manage your individual business needs. 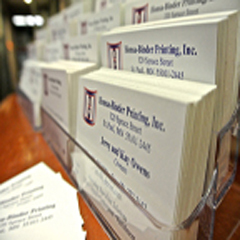 Business Cards is the most popular and economical way to spread the news about yourself and your business. Don't leave them with just a business card, leave them with an impression. We can help you send your message in a variety of ways.